More recently on counters of shops there is such a product as fillet of giant squid. The taste of this giant is radically different from the taste of ordinary squid. But the fact that you need to know the specifics of its preparation, otherwise the money will be wasted, and cooked food will refuse to eat even Pets. Meat giant far East squid is impossible to cook without pre-treatment, as untreated it will exude the aroma of ammonia, it will be sour and bitter taste and rubbery consistency. 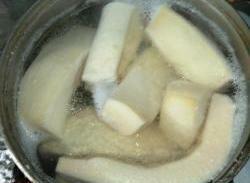 Squid fillet need to be soaked in soda solution, to do this, put a fillet of any size (can be frozen) in a pot of water, each litre of which is added a teaspoon of baking soda. You need to soak a few hours, you can leave for the night. 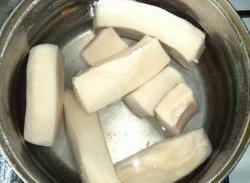 After soaking fillets of giant squid should be cooked for about an hour. Water can not be changed, or make a new soda solution in the same proportion. When cooking will produce a lot of protein foam as from bursting when cooking eggs, so the need to constantly remove with a slotted spoon. Then the water need to change and cook for another half hour. Ammonia smell when cooking is very common. 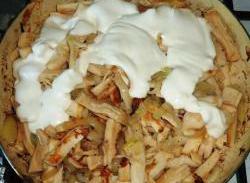 The cooked chicken is greatly reduced in volume. It must be cool. 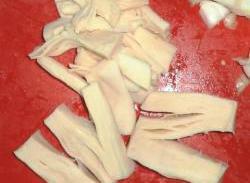 Chilled fillets of giant squid should be cut into sticks the same as a simple cut squid. 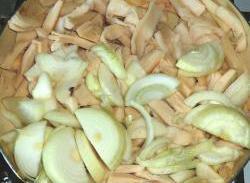 4 onions cut into half rings. Fillet cut into strips season with salt and pepper, fry in vegetable oil with onions on a pre-heated pan. In fried calamari add half glass of sour cream, cover the pan with a lid and simmer for 3-5 minutes. 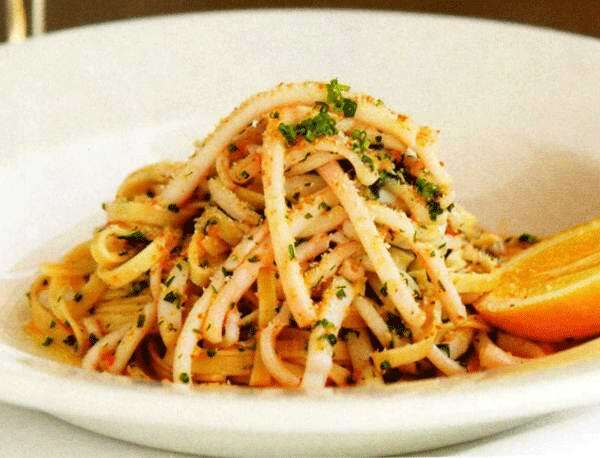 Serve with a side dish or as a separate dish.